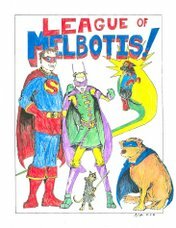 League of Melbotis: Just because. darn it. 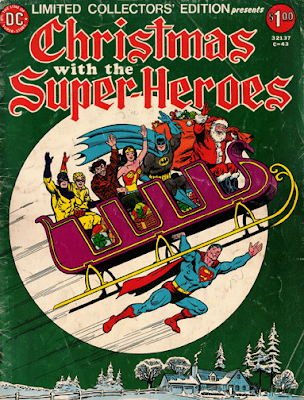 Who are the people in the sleigh besides Bats, WW, and Santa? The Original Sandman and Sandy (undergoing a Kirby renaissance when this was published), Cain of Cain and Abel - hosts of "House of Mystery", Wonder Woman, Batman, giant sack of toys and Kris Kringle.